I was going to link that in my original post but ended up not doing so, you can always count on Paul to tell it like it is. Especially when reliability is concerned in this case. People's perception of reliability is a funny thing, they'll get the occasional missfire or failure to feed, re-mediate it, but won't remember to mention that later when assessing the reliability of a given gun, especially when it's one they like. Something Paul has spoken about very eloquently, incidentally. Let's try a fun approach here and apply our individual knowledge and experience to the concept of the PMR-30 as a whole. Take a minute and play along with me here, it'll be fun I promise. Think to yourself what makes a reliably cycling cartridge in an auto loading firearm, something proven like a 9mm. Now consider the 22mag. It's long, thin, and has a rim on it. It was never designed to be fed in an autoloading firearm, the length the action has to cycle in order to feed .22mag is considerable, and there's a corresponding long, skinny chamber the cartridge has to fit into. And we're going to cram thirty of them into a box magazine. Is that really a recipe for success? And that's not even considering the fact that as a rule rimfire ammunition is not as reliable as center fire, and Keltec above all else is known for their "value engineering". All of that combined pretty well paints an accurate picture of this pistol. Some people have great luck with them, but generally you can expect all sorts of little hickups in feeding and extracting like you see in Paul's video. 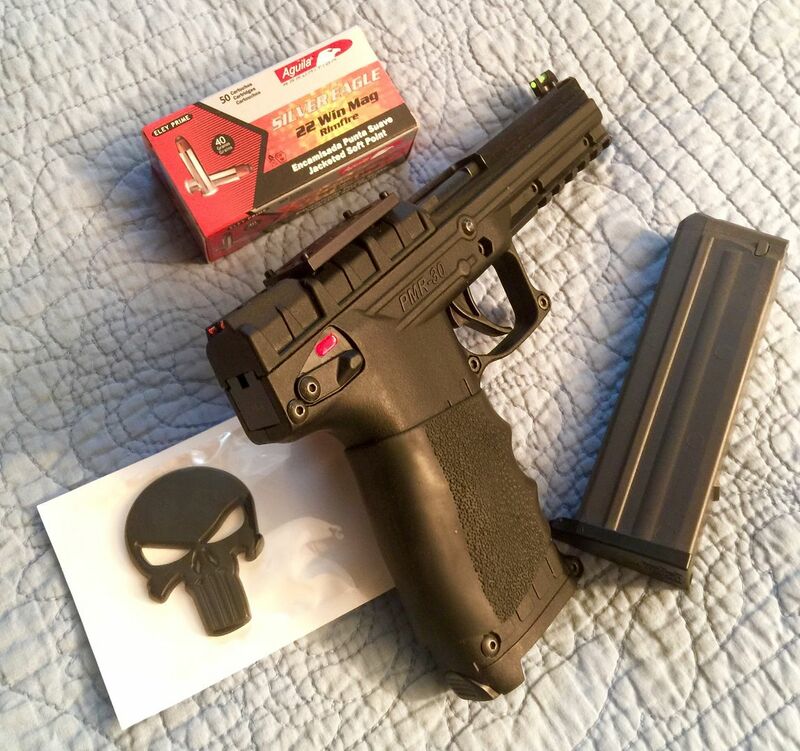 If you're really convinced it's just the ticket for a carry gun, by all means go buy one, put several hundred rounds through it, and assess for yourself if it's something you can depend on. I'm just passing on my perception. Like I said from the start, I rather like the idea of these pistols but it's important to view them in the proper context for what they are, not what you want them to be. I recall reading about how Israeli Air Marshals are trained to shoot Beretta .22 short rimfire pistols and carry them on jetliners. They seem to be proficient enough with them to have confidence that they will be able to get the job done. It's not rocket science, it's all about shot placement. A .22 WMR should be even more powerful and reliable than a .22 short. Honestly, I can't remember the last time that I had a misfire with a .22 WMR round if ever. and even then I didn't have any misfires using them in a bolt action rifle. Mostly Federal & Winchester. design or materials any more. And they will probably continue to make changes as long as there's demand for them. It seems to be a more complicated model now than the P30 was. Last edited by arcticap; 01-06-2019 at 07:57 AM. I have owned two, the first one was horrible. The breach face peened from the barrel and caused failure to feeds like crazy. Sent it in for warranty work, came back with a new upper half. When I got it back it would feed an shoot but accuracy was nonexistent. Targets at 3 meters literally look like a patterning board. I really wanted to like this pistol. Years later I decided to try again. My second one has eaten everything I put in it, is extremely accurate, and pure fun to shoot. Based on my first one don't ever buy a PMR 30, based on my second one I highly encourage everyone to get one! As long as I load the magazines per the instructions, mine works great. Lightweight and it shoots better than I can. I carry it on the tractor at times in case I spook up any varmints. Sounds like two and a half Stars on a five star rating! A shootin buddy has one shoots & function is pretty good he has shot about 400 rds so far , the trigger is excellent maybe to light , the first time I shot it went off accidently as I was not expecting the trigger pull to be that light and im used to light triggers of 2lb or less ! 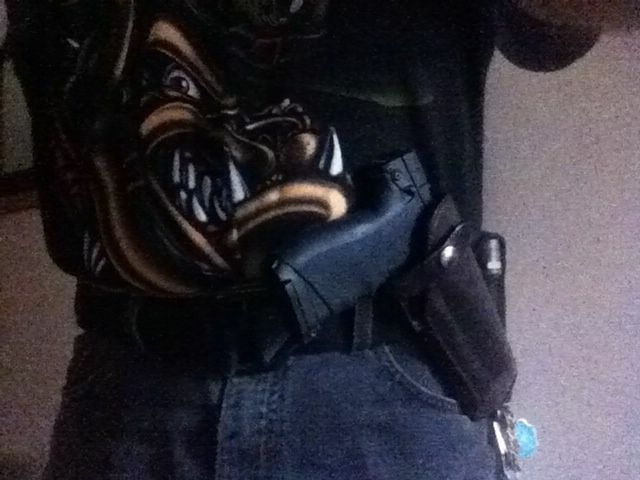 Do not own a Keltech, but an AMT compact and a RAI 22mag 1911. They are easy shooting, not much recoil. Yea you lose velocity out of the shorter barrel, but those FTX sold would really ruin someones day. Neither gun has issues feeding, the RAI holds 14rds, never dents the cases. Find a brand they do not like, tried the hornady varmint 30gr other day, the RAI did not like it. Not sure how the keltech is, the AMT nor the RAI never had working mag locks on the last round. I fixed them both but something to consider as a carry gun, they may not let you know they are empty. I have fired 5 of them. I own 3. All have worked well and shown decent accuracy. Careless loading of the mags WILL result in rimlock. As mentioned earlier in the thread it is best to consder the "30 round" magazines to be 27 round mags. Actually since the ammo comes in 50 round boxes 25 per mag is easy on fingers and "balances out". Not my first choice of defense pistols but not a bad choice IMO. If you use the pistol specific ammo it works great and does not have the huge muzzle flash rifle ammo gives. A magazine loader is an excellent investment along with a red dot sight. Keep it clean and zero stoppages. For self defence --- great. 5 or more 22 mags will dissuade anybody. As a 22 Mag NUT! Yes I have and I have the gun. Its like a squirt gun its SO LIGHT!! But has a very nice clean trigger!! Mine shoots great and cycles everything even WRF AMMO!!! Its a trail gun for me. Last edited by cwlongshot; 02-07-2019 at 08:06 AM. I don't remember if it was Kal-tech at the time but I bought one in late 80s and it was junk. You didn't hear much about these pistols till they resurfaced in last couple years. The original might have been under another name brand. Hamish doesn't know, but he wonders why GONRA displays the affectation of referring to himself in the third person. Computer Amateur GONRA want to be able to easily "GOOGLE search find himself" . It was the FN brand with the Hornady Vmax- so not lead free. It was weird. No duds but some pop gun action. I put new batteries in the light/later recently and put 25 rounds in 3" at 40 yds, drama free. When we get the chance my daughter and I will match up the KT and FN for ourselves.